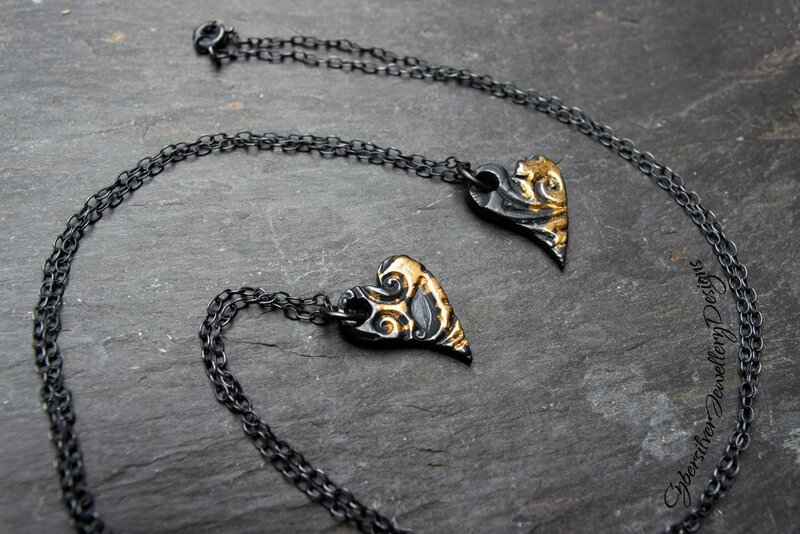 These unique heart pendants are constructed from thick fine silver with each heart decorated with a unique swirling, floral design. 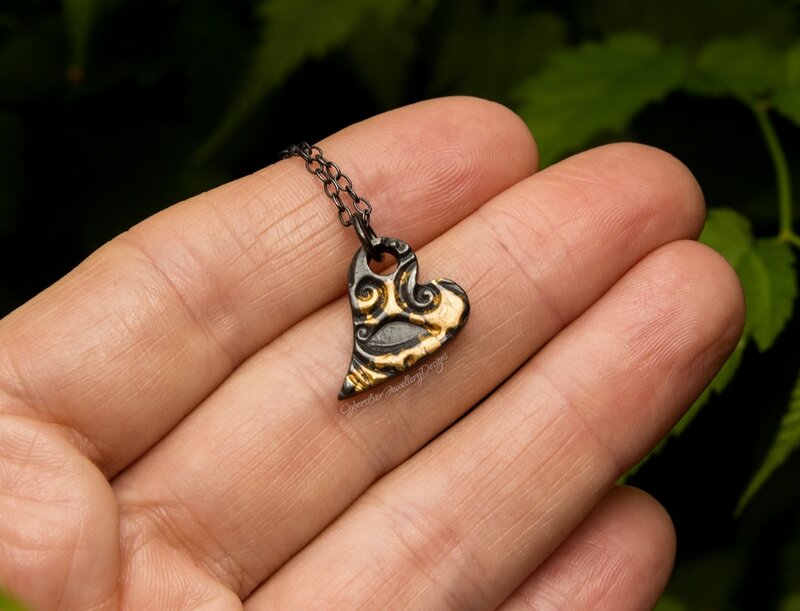 Using the traditional technique of keum boo, I then fuse a layer of 24 carat gold to part of the surface of the hearts. The exposed silver is oxidised to give a black patina and sealed with a microcrystalline wax to help protect the oxidisation. Oxidisation is a surface treatment which can lighten with wear. The silver chain is also oxidised and waxed. Each necklace comes boxed - perfect to present as a gift. Dispatched within 5 working days - if you require your pendant sent sooner please message me and I will see what I can do.